Craig Barritt / Stringer / Getty ImagesCosmopolitan’s editor-in-chief Joanna Coles at Cosmo’s Fun Fearless Life conference in New York City. 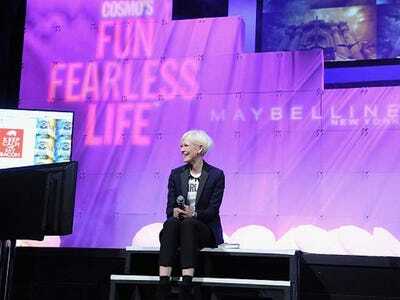 Joanna Coles, Cosmo‘s editor-in-chief who MC’d the event, shared her own advice with the audience. She explained that she “obviously looks for someone who can do the job,” but also wants to hire people with great energy. “So in terms of career advice: Find something that’s going to be fun,” she said. Because if you’re passionate about what you do and you’re having a good time, it will come through in your interview, and you’ll be a much stronger, more energetic and likable candidate. 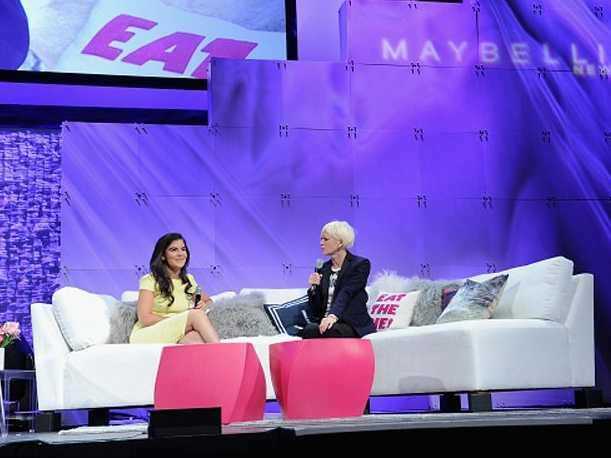 Craig Barritt / Stringer / Getty ImagesCaroline Ghosn, CEO of Levo, and Joanna Coles speak onstage during Cosmo’s Fun Fearless Life conference in New York City. During a Q&A with Caroline Ghosn, cofounder of Levo League, an online community for professional women, Coles shared another piece of advice for young professionals: Cultivate your brand using social media. And finally, she said, as a job seeker, you need to remember that all companies are looking for people who can solve problems. If you walk into the room and talk about your needs, and fail to address theirs, you’ll never get the job.